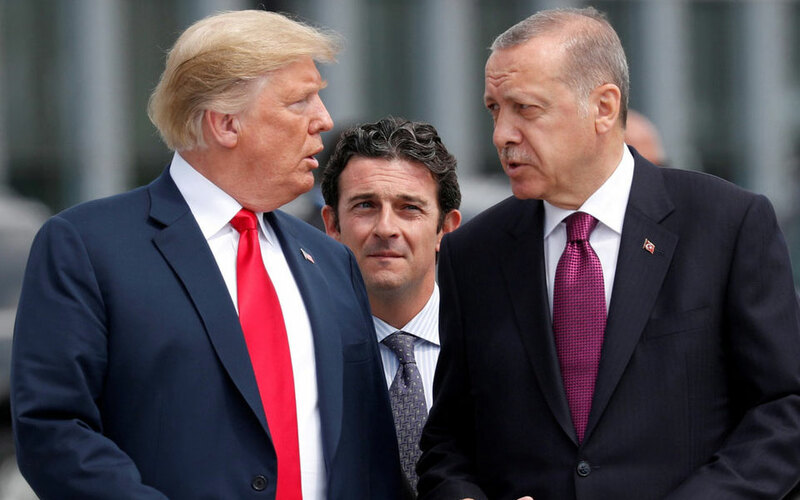 Washington, Jan 21 : US President Donald Trump and his Turkish counterpart Tayyip Erdogan on Monday agreed to continue to pursue a negotiated solution for northeast Syria, the White House said Sunday following a telephonic conversation between the two leaders. "The two leaders agreed to continue to pursue a negotiated solution for northeast Syria that achieves our respective security concerns," the White House said in a readout of the call. The two leaders also discussed their mutual interest in expanding the trade relationship between the United States and Turkey, it said. The White House further said Trump and Erdogan spoke on a number of important bilateral issues. Erdogan expressed his condolences for the loss of American lives in an attack claimed by ISIS in Manbij, Syria, last Wednesday.